At first, I felt slightly underwhelmed in-comparison to Wonder Woman‘s trailer. Expected more spellcasting then extra horoscope with reality bending. Maybe Cumberbatch delivering a classic saying. His British accent does comes through his voice, but that’s very minor. Averting trope by having Wong (Benedict Wong) and Baron (First Name: Carl) Mordo (Chiwetel Ejiofor) these sorcerers using technology despite wielding magic. Don’t have a problem with The Ancient One’s gender change. 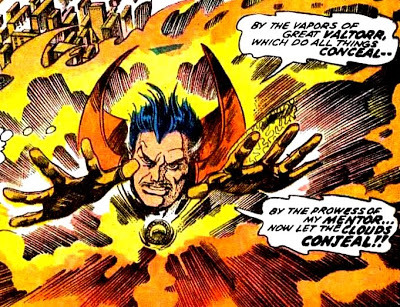 It makes sense since mantle Sorcerer Supreme passed from Steven to Jericho Drumm alias Brother Voodoo.